Enjoy dinner on your first or second night. Choose the perfect place to unwind, with peace and privacy, soak up the panoramic water views and let the stress of the week fade away. The Express Escape Package offers that much needed five star escape with one night's accommodation, a fresh, delicious dinner and breakfast. Indulge in a delicious breakfast each morning with two nights weekend accommodation in one of our beautiful, self contained, private and fully equipped suites for a luxury weekend getaway. 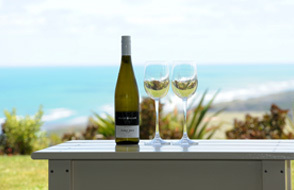 Relax and soak up the views with a delicious fresh seasonal dinner for two. 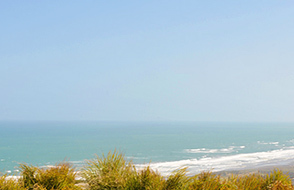 Treat yourself to a total escape for one night in a luxury suite overlooking Muriwai Beach. 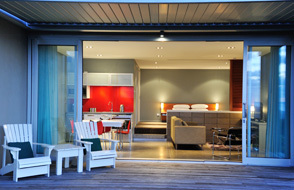 Our weekender package delivers a gourmet breakfast to you each morning for 2 days.